Enforcing the Lease Part 2: Unauthorized Pets in your Rental! As a rental property owner, you understand that pets can mean a great deal to your renters. Especially in the single-family rental home market, residents may wish to bring their furry friends home to live in their rental house. The appeal of a kitten or puppy is hard to resist, which is perhaps why sneaking animals into rental homes that don’t allow them is such a common cause of lease violations. Even if you have decided to allow pets on your property, violations can occur when residents add more or different pets without your permission, causing unauthorized pets issue. Residents who know they are in violation of their lease, especially with unauthorized pets, will often become quite creative in trying to hide the presence of their animals from you. This can make it hard to determine whether a violation of your pet policy with unauthorized pets is in fact taking place. However, confronting a resident about their pets can result in a relationship landmine with real potential to blow up in your face. If a resident is not in violation, your accusations might severely damage your relationship with them. Even if they are in violation, making accusations without proof is a bad idea. Your resident may resent you, making it even harder to work together toward an appropriate resolution. Then again, allowing unauthorized pets to remain on the property carries risks of increased wear and tear, as well as damage to the property. As the owner, you will bear the brunt of any damages your renter’s pets cause, carving into your profits, requiring the expense of repairs, and reducing the value of your property. Unauthorized pets may also create potential liability issues for property owners depending on the laws and regulations in your area. Clearly, if you suspect that an unauthorized pet has been brought into your rental home, you need to take action. But knowing how to handle the situation in the best way can be hard, too. Hiring a reputable property management company helps solve these problems. An experienced property manager can help you avoid expensive mistakes when pet violations occur. First, they will include appropriate language in the lease itself, defining the terms of keeping a pet in the residence. 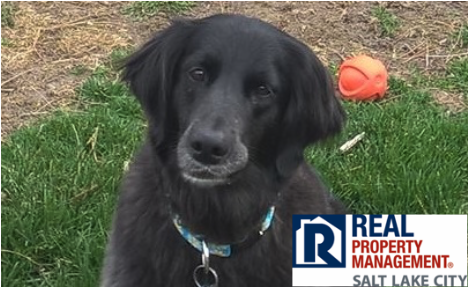 A quality property manager will properly vet potential residents and their pets, checking carefully for red flags and past violations. A great property manager will also schedule and perform regular property evaluations, gathering information and photographic evidence, if needed, that can identify any contract violations. Finally, a great property manager will help you resolve the issue in the event of a pet violation, providing you peace of mind about your valuable real estate investment. Did you know that we can just do your property inspections for you? Remove being the bad guy and let us help you get eyes on your property, and help the tenant not feel that you are treating them poorly! We offer a wide range of services to help you accomplish your goals! Don’t need full service management? That is absolutely ok! We can work with you to customize a plan that helps get rid of your stress, and help reduce some risk associated from being a self managed landlord!! Making a Plan for your First Rental Property!